Kevin Harvick is no longer a surefire part of the Monster Energy NASCAR Cup Series’ Championship 4 at Homestead-Miami Speedway. 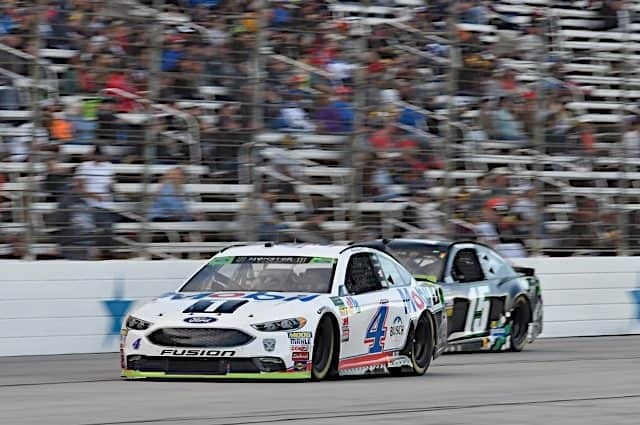 NASCAR’s Wednesday morning (Nov. 7) penalty report following last weekend’s action at Texas Motor Speedway deemed Harvick’s No. 4 Stewart-Haas Racing team had a spoiler violation post-race. As a result of the L1 penalty, Harvick loses 40 driver points, and the win no longer will count towards the championship, dropping him to fourth of the eight drivers remaining in championship contention, three points above the cutline ahead of teammate Kurt Busch. Team Penske’s Joey Logano is now the only driver locked into racing for the championship at Homestead. Crew chief Rodney Childers has been fined $75,000 for the infraction, and both he and car chief Robert Smith have been suspended for the final two races of the 2018 season at ISM Raceway and Homestead. Stewart-Haas Racing also loses 40 owner points, which drops the team to fourth in the owner standings as well. The team will not appeal the penalty, and longtime employee Tony Gibson will serve as Harvick’s crew chief for the rest of the season, according Jeff Gluck. 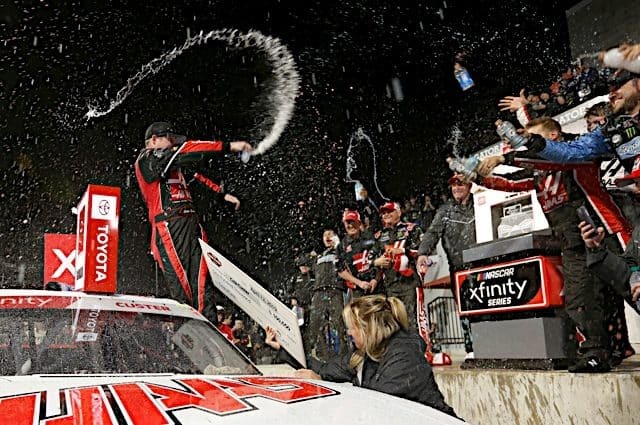 HUGE NASCAR playoff news: Kevin Harvick’s win at Texas ruled encumbered. Harvick no longer locked in to Homestead, Rodney Childers and car chief Cheddar Smith suspended for rest of season and Harvick loses 40 points. Harvick now goes into Phoenix only three points above cutline. 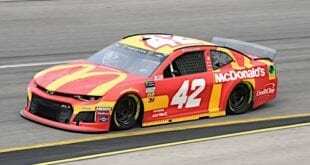 Other MENCS teams penalized this week were the No. 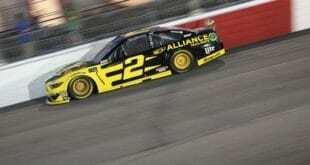 12 Team Penske Ford of Ryan Blaney and the No. 20 Joe Gibbs Racing Toyota of Erik Jones, both L1 penalties for problems with body panels. 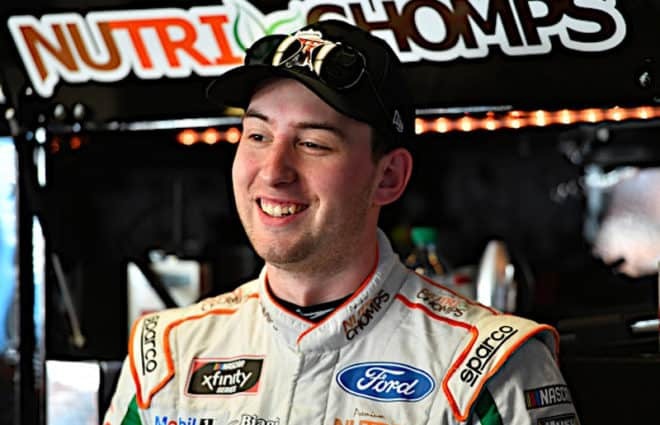 Blaney’s crew chief Jeremy Bullins has been fined $50,000, and car chief Kirk Almquist has been suspended for the final two races of the season. Jones’ crew chief Chris Gayle has also been fined $50,000, and car chief Jason Overstreet has been suspended for the final two races. 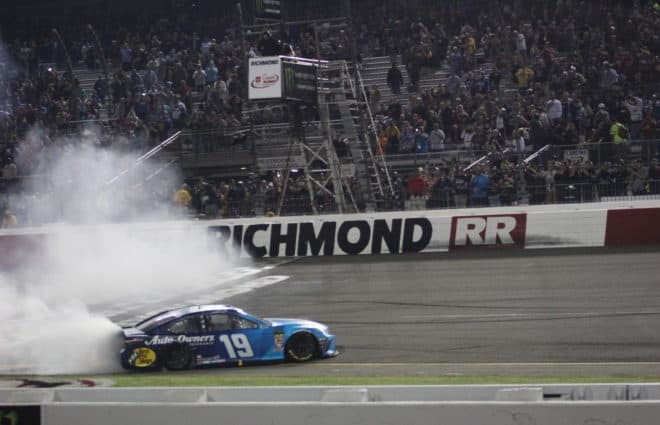 Both Blaney and Jones lose 20 points in both the drivers and owners standings, though there isn’t as much of a hit as they were already eliminated from championship contention. This has no effect on the owner standings of the No. 12, though the No. 20 slips one spot to 14th. Blaney drops to 10th place in the driver standings with the penalty, while Jones drops into a tie for 15th with Austin Dillon. In the Camping World Truck Series, the No. 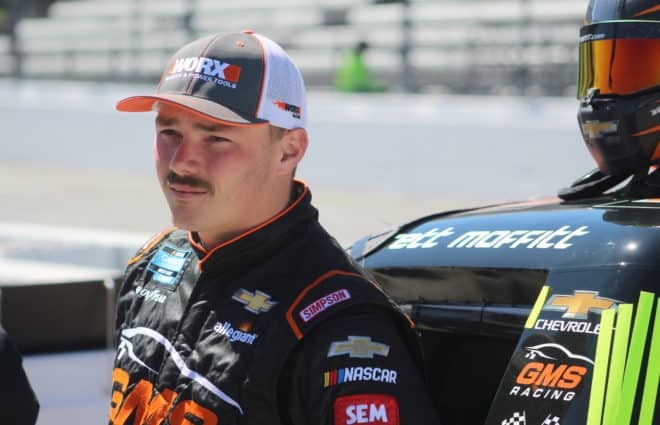 35 NextGen Motorsports team driven by Brennan Poole was penalized for a safety infraction during practice for losing a container of ballast. 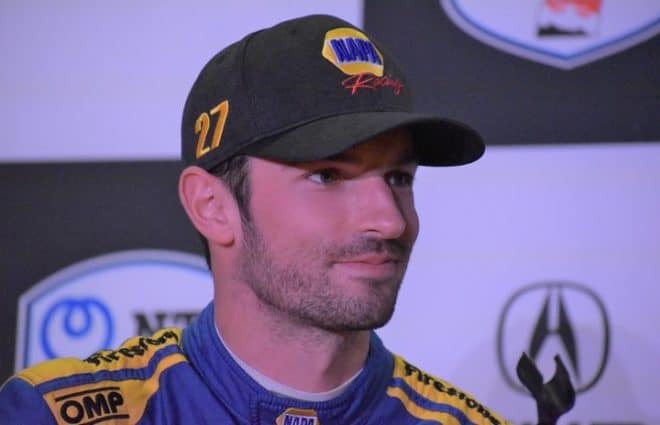 This means that crew chief Ryan Bell, truck chief Jerry Kennedy and mechanic Patrick Magee will be suspended for the next three events, which includes the 2019 season opener at Daytona International Speedway. How can this happen? Pre-race inspections should have caught this infraction and to get through inspection, it must be corrected and re-inspected. You will never get the attention of the crew chiefs until you start taking the win away. Being encumbered is a joke. 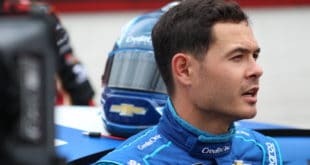 These teams, such as Stewart Racing and others, are funded to the hilt and a few dollars in penalties are being laughed at in the corporate office. TAKE AWAY THE WIN and you will get their attention. I don’t care for Harvick. My distrust of every BZF has me thinking as he is drying out in a padded cell somewhere, is he is still calling the shots for his pet project, his legacy…who gets into the final four, and ultimately who wins it? Cynical? Oh yeah. Unreasonable? Perhaps. I don’t think he’s suffering but old habits die hard. How can it pass pre-race and fail post-race? people that like technical and mechanical things..
WHY can’t they actually explain what the infraction was? to be, what they were, how they measured it. or was it a mistake??? Why are these infractions such a big secret?? What is the big secret??? Now this is a turn of events. I know everyone (including me) wants wins taken away, but this is far worse than losing a trophy. Harvick goes from the locked in favorite to win the title, to hanging by a thread. Chase now has a chance to make it on points now. Though Harvick will likely dominate his personal playground and/or drive through anyone he has to for the win. Wow. The heavy hand of NASCAR strikes again. If it’s legit then shame on Harvick’s team. That would certainly explain why his car was better than everyone else’s. If it isn’t legit than why no appeal? My bet is that he wins Phoenix anyway and this becomes moot. LOL. That’s one way to inject some drama into the championship. Methinks Harvick drives a Ford. Call me nuts and this has no bearing on the one race Homestead Cup. I cannot help but notice since BZF got hauled off to a treatment center and his Lexus (lol) has been parked, I don’t think the TOYS have been doing all that great. Just my thoughts…. And I have no doubt Fords are like kryptonite tie to him. I noticed that to and the late race cautions stopped too but there is still the last event on the schedule to make up for it. But Ford is not GM or Toyota. It isn’t so obvious any more. I agree completely, thanks for the obvious fact too about the late race cautions! So true, and suspect. Hope his hands not in the pie come Homestead, but you never know, even in a johnny coat he is still obsessed with his Frankenstein creation, I am thinking! I thought BZF didn’t attend the races. So how does he order the caution flags?